10 of our favorite Fun Facts about Arizona! The state of Arizona is characterized by scenic, mountainous views, sprawling deserts and a rich Native American history. But there are features of the state that are lesser known, in case you were curious about them. Here are 10 fun facts Arizona has to offer. Arizona was the 48th state to join the United States on Feb. 14, 1912 (12th being Lincoln’s birthday and 13th was considered unlucky) and therefore is nicknamed as America’s Valentine. 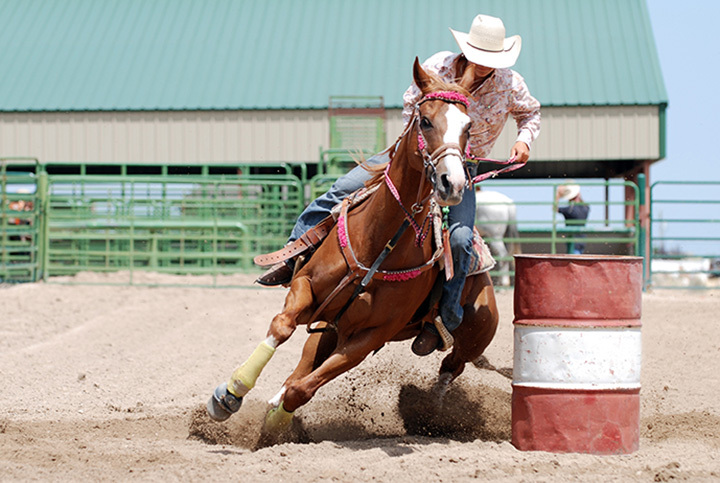 Prescott in Phoenix is known to have the oldest rodeos in the country. Also, the wild western spirit is still preserved in Payson since the 1880s. Arizona has the highest number of Native American tribes, the largest being the Navajo community covering about 27,425 square miles of Arizona, Utah, and Mexico. The place also harbors 22 Native American nations. The Four Corners is the only place in the country where you can be in four states at once. Here the states of Colorado, New Mexico, Utah, and Arizona intersect at a point. Pluto was first seen from the Lowell Observatory at Flagstaff in the year 1930 by Clyde Tombaugh. You also can find the best preserved meteor core in Winslow, Arizona. Pluto may not be a planet anymore but it is still worth mentioning. 6. Mail is delivered by mules! In the village of Supai, located at the foothills of the Grand Canyon, mules are the only mode of transportation. It is the only place in the world where mail, food, and other supplies are still carried by mule trains. The world’s first McDonald’s drive-thru was set up in 1975 in Sierra Vista, Arizona. It was for the soldiers at Fort Huachuca who were not allowed to leave their vehicles. The previous London Bridge that was dismantled in 1960 was shipped back and reconstructed at Lake Havasu City in Arizona where it still stands today. On the top of Kitt Peak, there is a 110-foot-long tower that contains the largest telescope ever! It reflects an 85-centimeter wide image of the sun. Arizona has a whole bunch of bizarre laws, for instance, it is illegal to refuse someone a glass of water, donkeys cannot sleep in bathtubs, and one can be sent to jail for cutting a cactus! Though some of these may not be enforced that much.